For equivalent regional tools, refer to Vehicle Service Manual. Remove the air inlet grille panel. Refer to Vehicle Service Manual. Raise and support the vehicle. Refer to Vehicle Service Manual. Remove the front tire and wheel assembly. Refer to Vehicle Service Manual. Remove the stabilizer shaft link from the front strut assembly. Refer to Vehicle Service Manual. Remove the outer tie rod end from the steering knuckle. Refer to Vehicle Service Manual. Using the CH 49375 socket (2) and the proper size Torx® wrench, loosen the front strut nut. The spring is compressed when the strut moves freely. 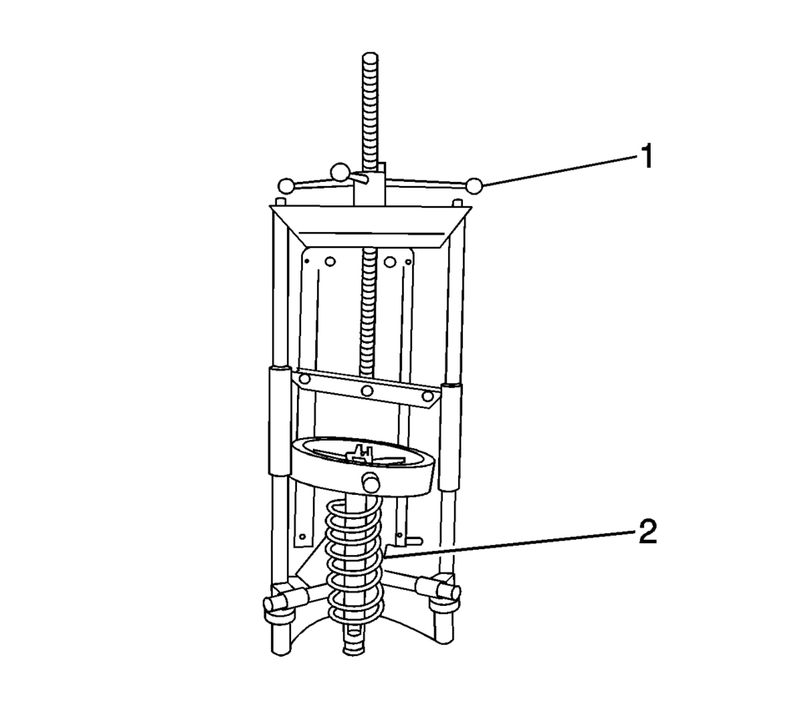 Install the strut assembly (2) in a suitable spring compressor (1) and compress the front spring. 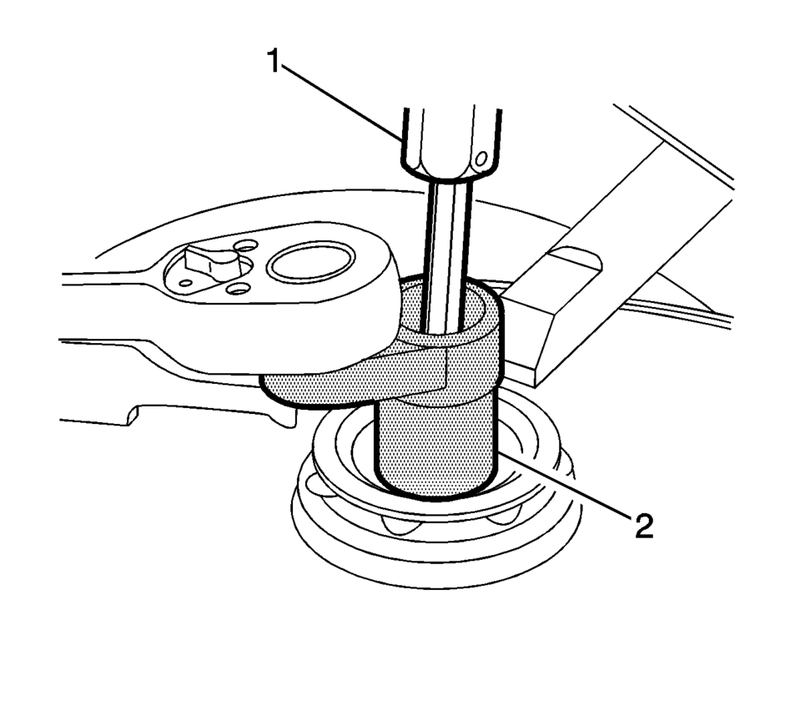 Use a suitable bit (1) and socket (2) to loosen the front suspension strut mount nut. 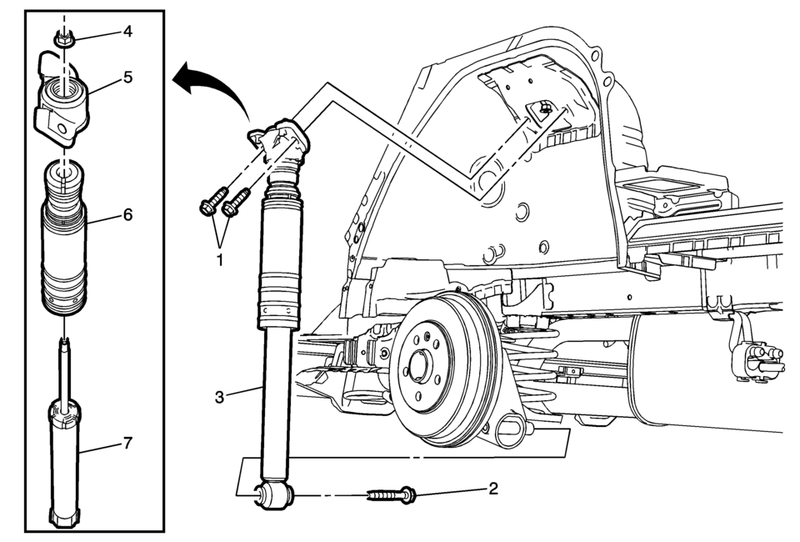 Slowly loosen the spring compressor (2) to remove the front suspension strut components to be serviced. 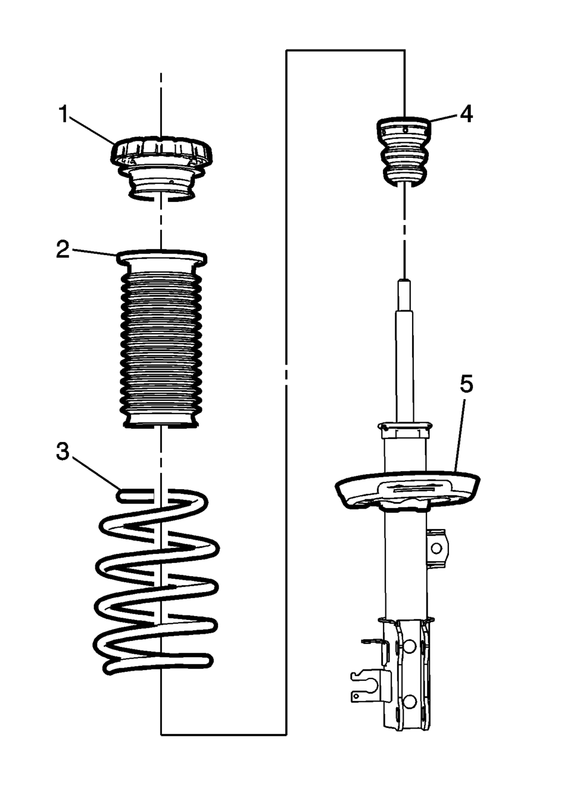 Remove the front suspension strut mount assembly (1), front spring insulator (2), front spring (3), front suspension strut bumper (4) and the front strut (5) from the spring compressor. 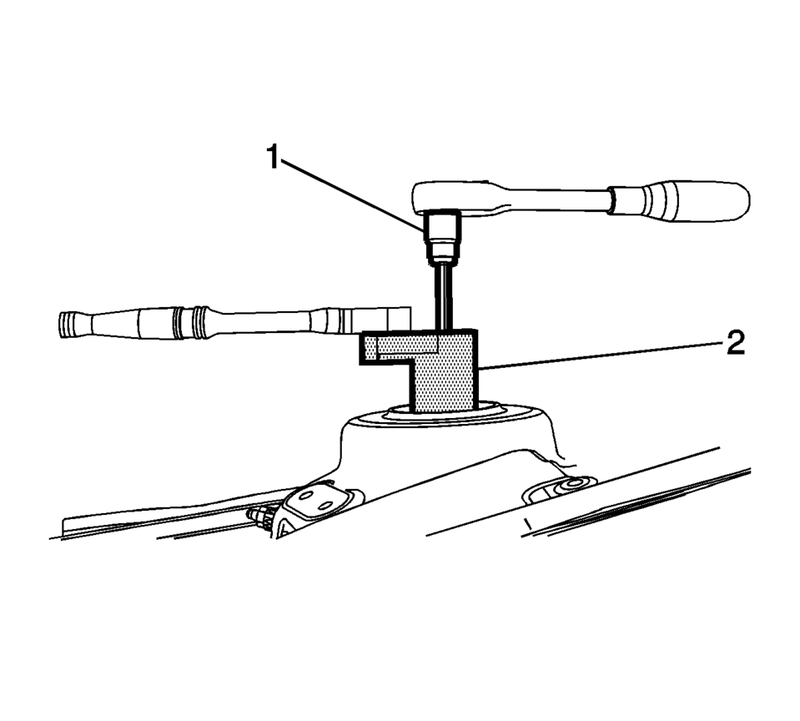 Install the front suspension strut (5), front suspension strut bumper (4), front spring (3), front spring insulator (2) and the front suspension strut mount assembly (1) in the spring compressor. Use the spring compressor (1) to compress the front spring (2). Install the front suspension strut mount nut and tighten as much as possible by hand. Remove the strut assembly from the spring compressor. Install the stabilizer shaft link in the front strut assembly. Refer to Refer to Vehicle Service Manual. Install the outer tie rod end in the steering knuckle. Refer to Refer to Vehicle Service Manual. Install the front tire and wheel assembly. Refer to Refer to Vehicle Service Manual. Install the air inlet grille panel. Refer to Refer to Vehicle Service Manual. Remove the rear tire and wheel assembly. Refer to Vehicle Service Manual. Remove the rear shock absorber upper bolts (1). Remove the rear shock absorber lower bolt (2). 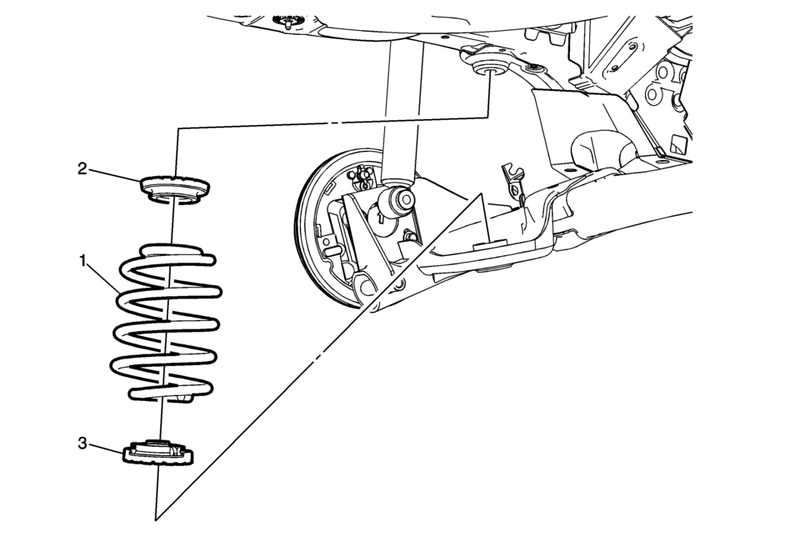 Remove the rear shock absorber assembly (3) from the vehicle. 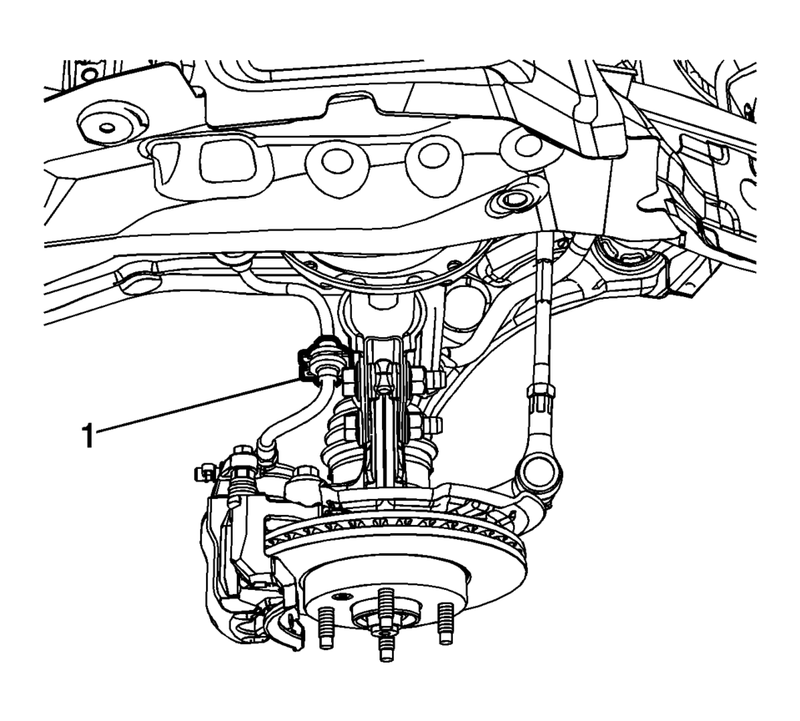 Remove shock absorber nut (4) from shock (7). Remove shock absorber mount (5). Remove shock absorber bumper (6). Note the position of the rear spring in relationship to the insulators. 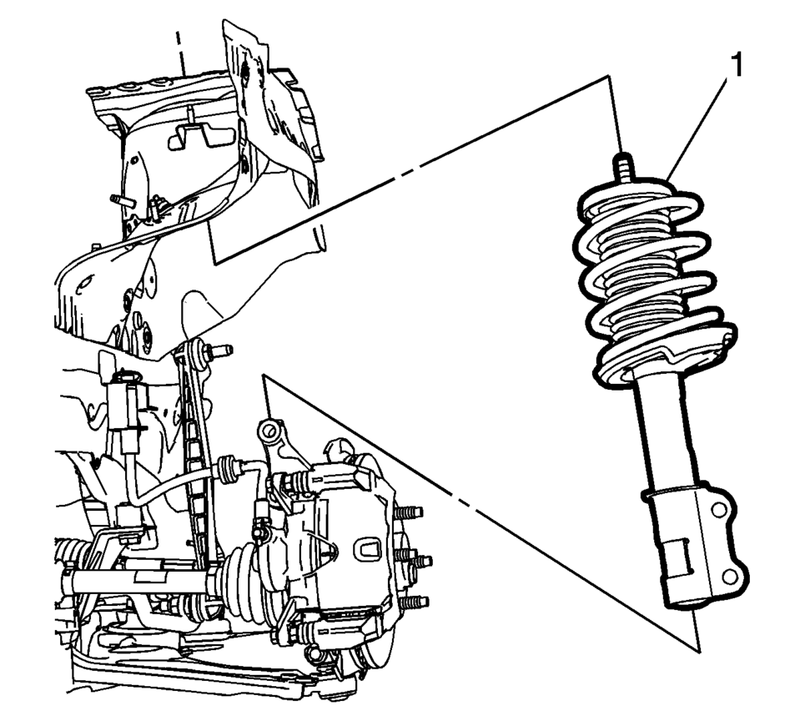 Lower the rear axle and remove the rear spring (1) from the upper (2) and lower (3) rear spring insulators. 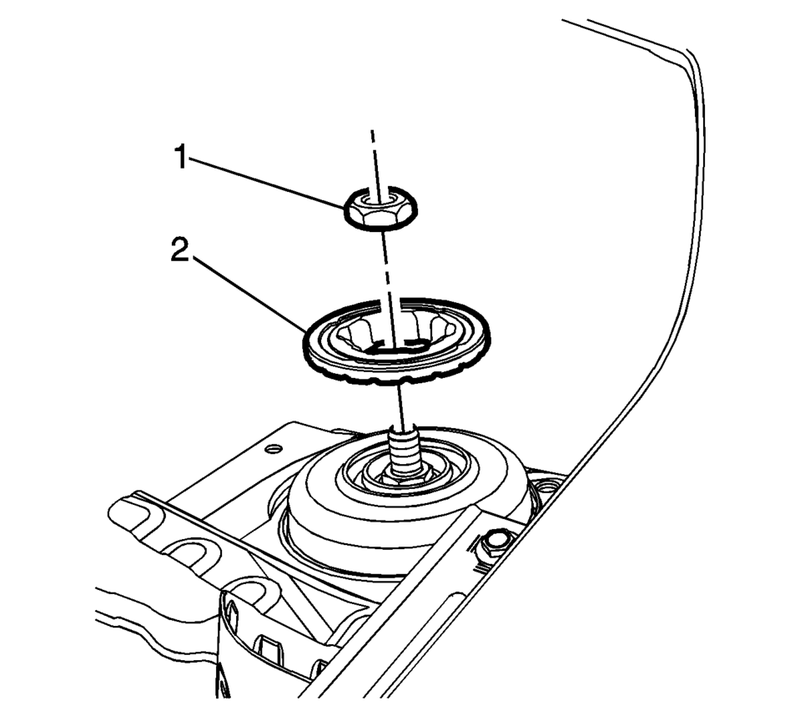 Ensure that the lower rear spring insulator (3) is properly seated in the rear axle. 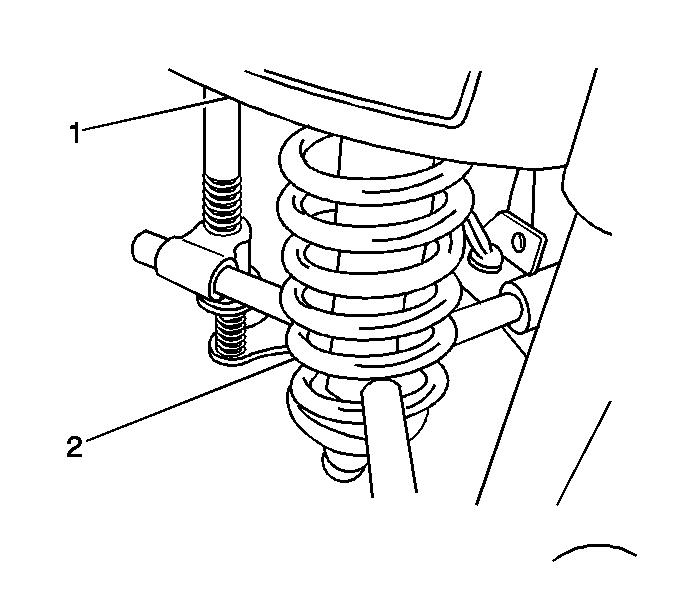 Ensure that the upper rear spring insulator (2) is properly seated in the rear frame rail. Install the rear spring (1) to the upper and lower rear spring insulators. Install shock absorber bumper (6) to the rear shock absorber (7). Install the shock absorber mount (5). 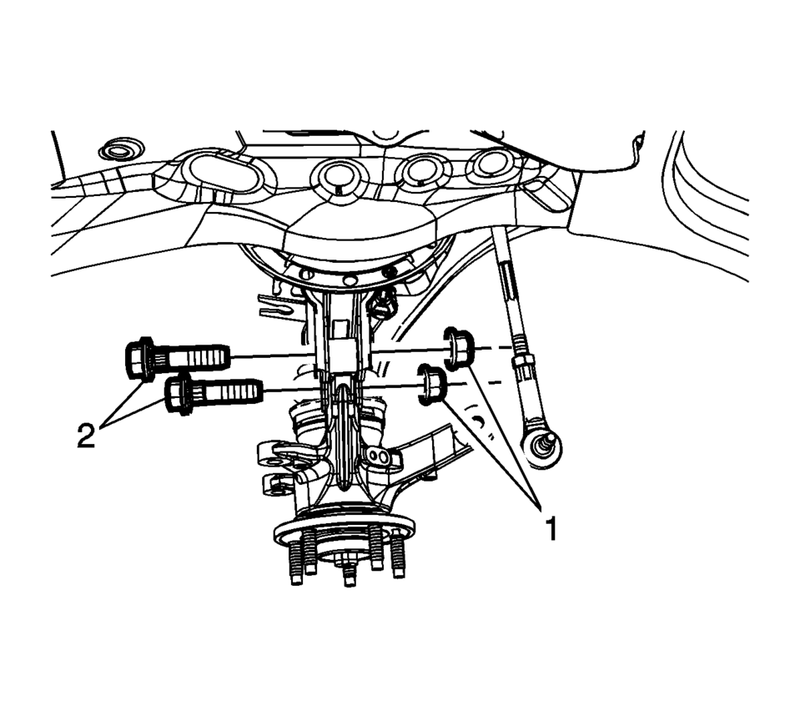 Install the rear shock absorber assembly (3) to the vehicle. Install the rear shock absorber lower bolt (2). Install the rear tire and wheel assembly. Refer to Vehicle Service Manual. Remove support and lower the vehicle.